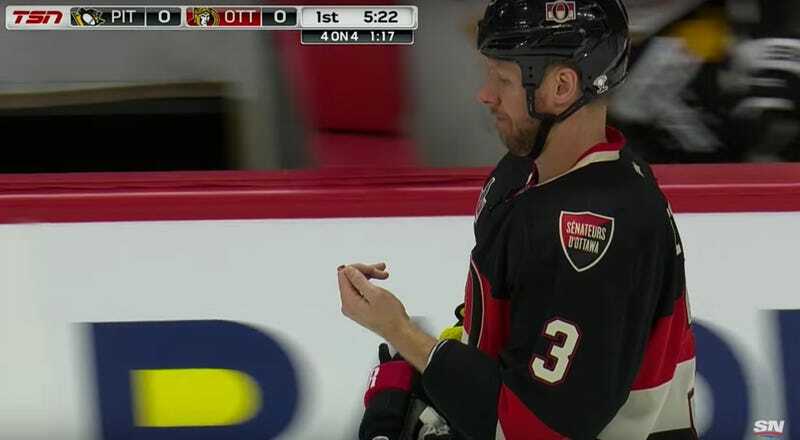 Marc Methot came into tonight’s game against the Penguins with 10 fingers. He left with approximately 9.8 after Sidney Crosby slashed at him in the first period. No body part is safe from Crosby’s fury, apparently.